To all of our members, and also our fans who are not yet but should be members, the U.S. Life-Saving Service Heritage Association is initiating our monthly newsletter to bring to you some of the information that arrives in your board members’ email each month. Now you too can be court side, front row, and in-the-know about all things of interest to our group. Before the news is provided if you are someone who likes to develop monthly, weekly, or daily blogs and would like to take over as “news editor” of Life Lines please do so at http://uslife-savingservice.org/contact/ and I will be happy to get you started. The process is simple, there is web support, so if you can handle a word processing program and know how to clip and paste, and attach web links, then this may be the volunteer opportunity for you. Your email will be added to the board’s list so that you too will be the first to read stories to select for each Life Lines posting. If you want to be first and “in the know”, then you will not want to miss this opportunity. You can set your own schedule, publish as much as you want and as frequently as you wish. The minimum is at least once a month. 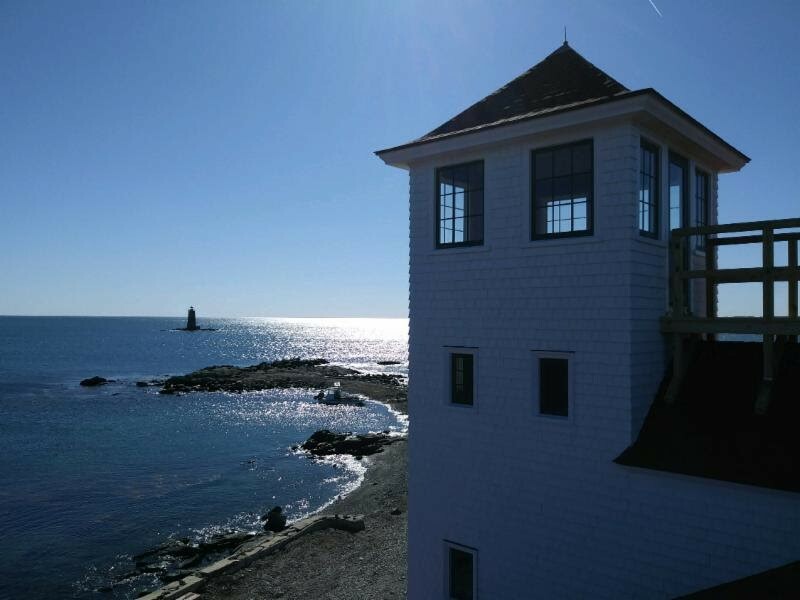 It was hard to pick between recent news stories, but I would say that the exterior restoration of the Wood Island Life Saving Station has got to be one of the biggest wins. If you did not know this, your board of directors has been actively supporting, (via letters of support, attending meetings, etc.) the Wood Island Life Saving Association in their quest to save this station. There were many times when it seemed like this was a long shot, but it happened. The exterior restoration is complete and the structure is buttoned up for the winter. Go to the Wood island Life Saving Association website https://woodislandlifesaving.org/ to find out more, see videos, before and after photos, and to see aerial images of the restoration. The Wood Island Life Saving Association deserves all if not most of the credit. The boathouse at the Hammond Bay Biological Station was also moved to a new location on its grounds to make room for a new water lab. Thanks to local member Beach Hall who brought this project to the Boards attention. The initial plans called for the demolition of the “non-historic” boathouse. The Board contacted the Michigan State Historic Preservation Office and also contacted the U.S. Geological Service and stated that the U.S. Life-Saving Service Heritage Association was an interested party and we did not agree with the statement that the boathouse was “non-historic”. We also suggested that demolishing a “historic” boathouse was wrong, but also the biological station would miss the storage opportunities that the structure would provide. 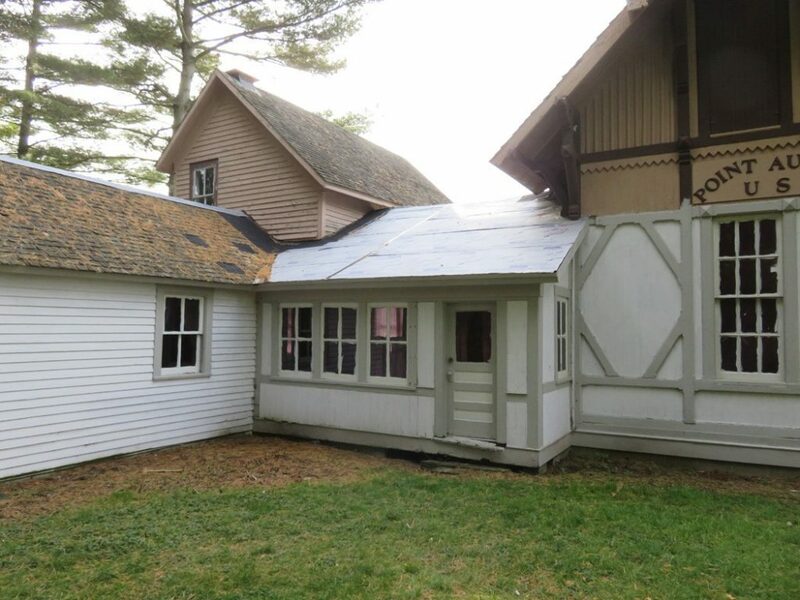 Watch the video of the construction of the water tank and pump house and count how many times the historic boathouse doors (upper left hand corner) are opened and closed throughout the year of construction. https://www.usgs.gov/media/videos/usgs-hammond-bay-biological-station-renovation-time-lapse Apparently the biological station agreed about the value of extra storage because the boathouse is safe and on its new site on the grounds.